The series that we have all been waiting for is finally here. The best rivalry in sports is ready to add another exciting chapter to its storied history. The calendar has flipped to August, and it’s officially time for the Yankees to put up or shut up in the American League East, as the team heads to Fenway Park for a four-game series against the first-place Boston Red Sox. This series starts a stretch of 10 games the two teams will play against each other over the next two months. 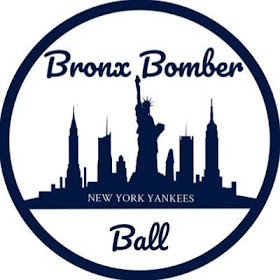 Entering play on Thursday, the Yanks trail Boston by 5.5 games in the division, so it is critical that the team doesn’t lose any more ground to their longtime rival. Both teams have cooled off slightly since the all-star break, with Boston going 7-4 and New York going 6-5. It will be very interesting to see which team regains momentum at the season’s most critical time. Reliable veteran CC Sabathia gets the ball for game one of the series coming off a rough month of July which saw the 38-year-old go 1-1 with a 5.48 ERA in four starts. 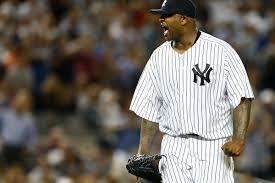 Sabathia hasn’t made it through six innings in any outing since taking on the Atlanta Braves on July 4th. With that being said, I’m not sure there’s anyone the Yankees trust more in big games than their big lefty. 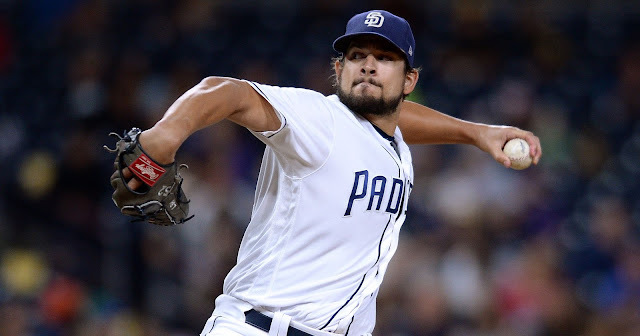 He has a knack for coming up big when the team needs him most, and he allowed only one run over seven solid innings when he last faced Boston on June 29th. If Sabathia can get back to pitching like he did in June (1.93 ERA for the month), the team should be in great shape in the opener. Earlier this week, the Yankees caught a major break when it was announced that Chris Sale would be placed on the 10-day disabled list with shoulder inflammation and miss his scheduled start Thursday night. In his place, Boston has opted to give the ball to 27-year-old left-handed Brian Johnson. Johnson, a former top prospect, has enjoyed a breakout season with the Red Sox and owns a 3.45 ERA in 27 games (six starts). In his six starts, Johnson has gone between four and six innings each time, and he hasn't allowed more than two runs in any of those outings. Johnson has faced New York three times out of the bullpen this year and has not allowed a run in 4.2 innings. For Luis Severino, this is the most important start of his season to date. Since firing 6.2 shutout innings against the Red Sox on July 1st, and lowering his ERA to 1.98, Severino has given up 19 runs in his last 19.1 innings over his last four starts. His ERA has climbed almost an entire run to 2.94 in that timeframe. 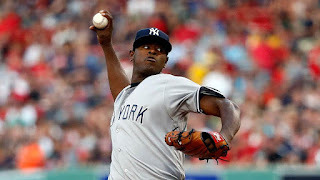 If Severino has one more rough outing, there is going to be a lot of speculation about whether the Yanks’ electric ace is healthy. On the season, Severino has had a mixed-bag of results against Boston. In April, he allowed five runs over five innings at Fenway, but in two starts at Yankee Stadium since then, he has given up only two runs in 12.2 innings. It really could go either way. Rick Porcello is on the mound for Boston in game two, and he comes in after pitching to a 5.74 ERA in five July starts. Porcello is a pitcher that can be difficult to predict, as sometimes he looks the guy who won the 2016 American League Cy Young and sometimes he looks like the guy who had a 4.92 ERA in his first year with Boston (2015). Porcello’s Jekyll/Hyde tendencies have come out in his two starts against the Yankees this year as well. Back in April, Porcello threw seven shutout innings in a dominant performance at Fenway Park. This was followed up by a July outing that saw Porcello allow five runs over 5.1 innings at Yankee Stadium. It really is anyone’s guess as to what Porcello we’ll see on Friday. In what was originally scheduled as a matchup of deadline acquisitions, J.A. Happ has now been scratched for the Yankees after contracting hand, foot and mouth disease (which is apparently running rampant in New York). In his place, Luis Cessa will get the call for New York and make probably the biggest start of his three-year career with the team. Cessa is enjoying his best Big League season to date in a very small sample size of seven games and 20.1 innings. The 26-year-old made two starts for the Yankees in July and allowed two runs over 11.1 innings against Baltimore and Tampa. Those are encouraging signs, but those two teams also aren’t the Boston Red Sox. Former Yankee Nathan Eovaldi will make his first start against his former team as a Red Sox after being acquired by the team on July 25th from the Rays. 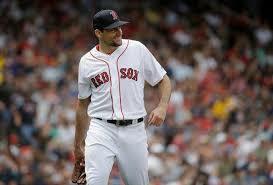 In his first start with Boston on Sunday, Eovaldi threw seven shutout innings against the Twins. His season WHIP now sits at an extremely impressive 0.94. For the first time in his career, Eovaldi appears to be putting all of the pieces together in what is an extremely talented repertoire. The 28-year-old righty made one start against the Yankees back on June 15th and allowed five runs over 7.1 innings. The numbers are a little misleading, as Eovaldi allowed only two of those runs before coming out to pitch in the eighth, something he likely won’t be asked to do much for Boston. The Yankees will send their hottest pitcher to the mound in the finale of this pivotal series, as Masahiro Tanaka is coming off of a dominant July in which he pitched to a 1.75 ERA in four starts. While that is something to get excited about, the fact that Tanaka has allowed 10 runs over 10.1 innings in two starts against the Red Sox this year certainly is not. Tanaka is a different pitcher right now than he was earlier in the season, so it’s fair to wonder how much we should rely on those previous outings when predicting how Tanaka will fare on Sunday night. Opposing Tanaka will be Yankees non-killer David Price. 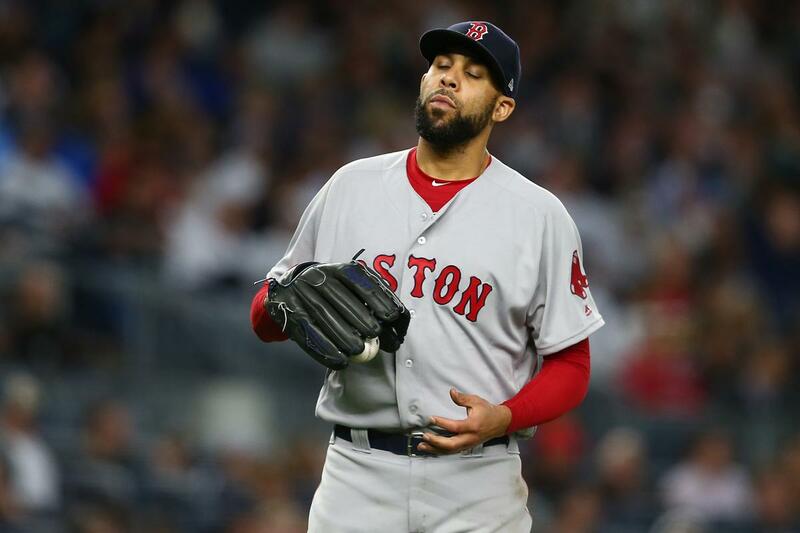 In nine starts against the Yankees as a member of the Red Sox, David Price has an ERA over eight. Simply put, he does not know how to beat this team. Price has made two starts against the Yankees this season, allowing an almost unfathomable 12 runs over 4.1 innings (26.34 ERA) of “work.” One thing that can be said for sure is that Price will be motivated to exorcise his demons against the Yankees and prove many haters (myself included) wrong. Until that happens, however, we can all just enjoy the show of him taking the mound against the Yanks. The Yankees hitter with the most pressure on him this weekend is, without a doubt, Giancarlo Stanton. With Aaron Judge out for the series, most of the offensive load is going to fall on Stanton’s back. The Yankees hulking slugger has enjoyed a great season against Boston to this point, going 14-33 (.424) with two home runs and seven RBI (1.258 OPS). 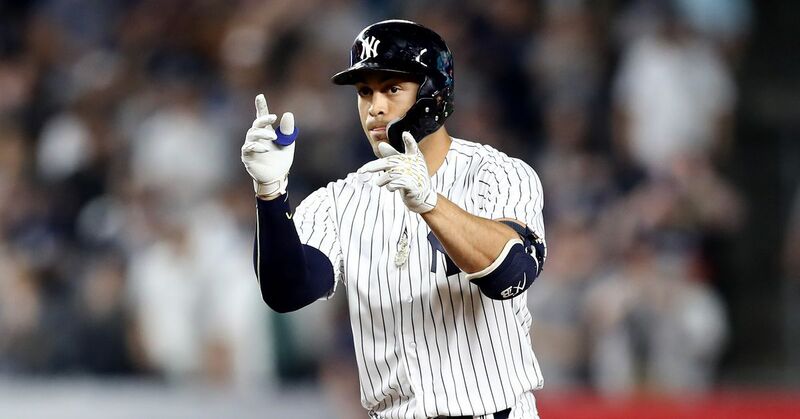 New York is going to need a big weekend from Stanton to take pressure off the rest of their lineup in this pivotal series. Stanton has cooled off in the last week, hitting .192 with one home run, but he has is still hitting over .300 over his last 30 games. For the Red Sox, Mookie Betts is the man that makes the wheels turn. He is enjoying an MVP-type season with a .338 batting average, 25 home runs, 56 RBI, 20 stolen bases and a 1.070 OPS. Simply put, Betts is the best player in the world right now not named Mike Trout. However, Betts has limped out of the all-star break with a .207 average and two home runs in his last seven games. 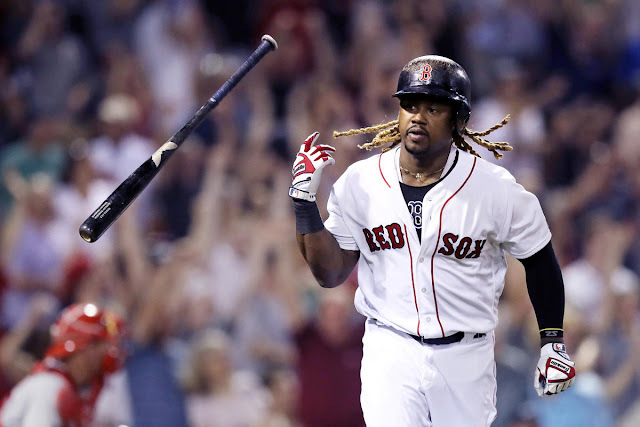 As a result, Boston’s offense has averaged only three runs per game during that stretch. If the Yankees are lucky enough to face Betts during a slump, that is something they absolutely need to take advantage of. This should be an utterly entertaining series. It is great for Major League Baseball to have the Yankees and Red Sox as the two top teams in the sports this late into the season. With both teams hampered by key injuries, it should be interesting to see what role players are able to step up and which team gets the most out of their pitching. The Yankees have to feel good about the way the starting pitching matchups look on paper for three out of the four games, but that only means so much. New York cannot afford to lose further ground in the standings to Boston, so at least a split is a necessity, and taking three out of four would be great. Sit back and enjoy a great weekend of baseball, Yankees fans.